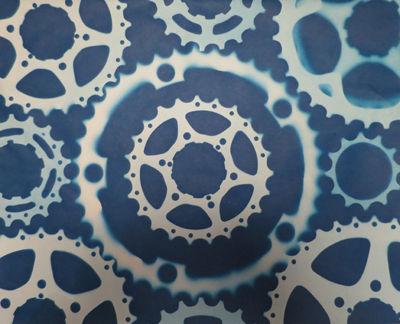 We’ll be hosting a two-part hands-on cyanotype session next Sat and Sun March 5th and 6th, 2016! We’ll work from 2-4pm each day. Saturday will involve painting objects with the cyanotype fluid and some practice with pre-done pieces of paper. The objects need to dry overnight so Sunday will then be about exposing those items to the sun with leaves, gears, and other items. If you can only make it to one session that’s fine – we’ll have spare papers both days for you to play with. If you can make it to both, you’ll be able to see the whole process through from start to finish! Let us know if you’d like to come to one or both days. This is one of those “might get a little messy” activities so it’s probably best not to wear your prom dress or tux ;).